In April 1943, four boys went birdnesting in Hagley Wood, which is located just outside of Stourbridge in Worcestershire, and lies partway between Birmingham and Kidderminster, when one of them made a shocking discovery. The Evening Despatch, 29 March 1943, describes the evidence given at the subsequent inquest. Robert Hart, of Wollescote, Stourbridge, told the Coroner and jury how at midday on Sunday, 18 April, he and three other lads when birdsnesting in the wood. He left the others and went to the stump of the old elm. Looking in, he saw a skull. He called his friends, and one of them raked the skull out of the tree with a stick, and put it back again. When they got home one of the boys mentioned the find to his father, who telephoned the police. Professor J M Webster, director of the West Midland Forensic Science Laboratory, was called to the scene. The tree trunk was opened out, and he was able to reconstruct the skeleton. He found no evidence of violence upon any of the bones, however, he did find ‘part of a garment stuffed deep into the cavity of the mouth,’ which might have been the cause of death. 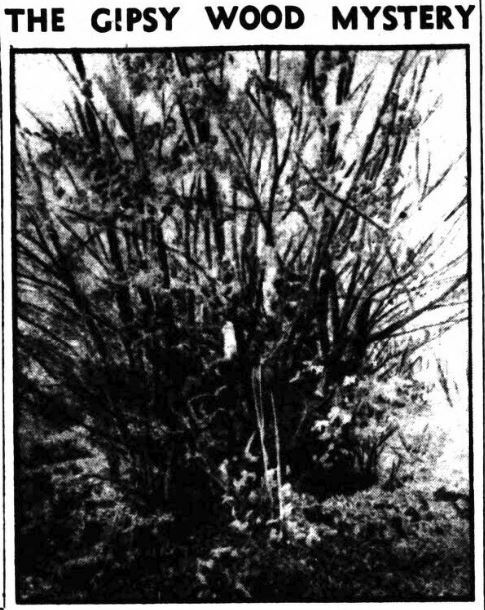 He did not ‘imagine anyone getting into the tree voluntarily,’ whilst the skeleton had been there for at least eighteen months. 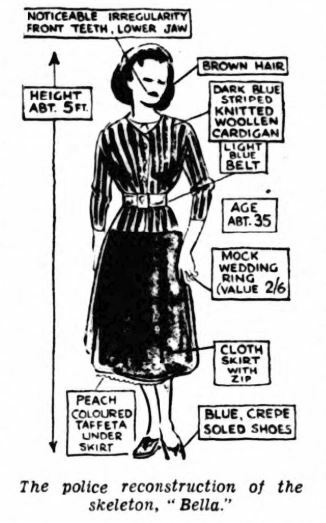 Her age is given as between 25 and 40, most probably 35, height 5ft, with light brown hair and dressed in dark blue and mustard coloured striped cardigan and mustard coloured skirt: blue crepe soled shoes, size 5 ½ . All the garments were described as poor quality, and a wedding ring found among the bones was of rolled gold, probably worth 2/6 to-day. Despite hundreds of leads being followed by police, her identity was not established. 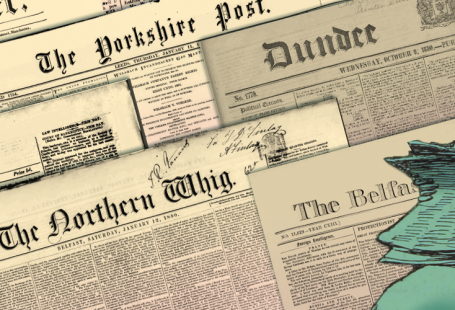 The inquest returned the verdict ‘Murder by some person or persons unknown.’ And then, in 1944, the case took on an even more perplexing twist. Chalked on the wall of empty premises on Upper Dean Street, Birmingham, were the words ‘Who put Bella down the Wych elm, Hagley Wood?’ The Sunday Mirror reports that another message was chalked previously – ‘Who put Luebella down the wych elm?’ – at Hayden Hill Road, Old Hill, but it was not connected to the case until the second piece of graffiti was found. But, like the victim, and her murderer, the identity of the writing’s author was never uncovered. In 1949 the case was reopened upon some fresh evidence coming to light – that of gyspsies having been seen in the area in preceding years. The link to gypsies is just one of the theories as to why ‘Bella’ ended up dead in the wych elm. 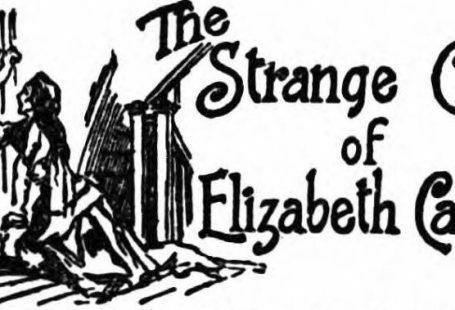 In a series of articles in the Birmingham Daily Post in 1968 Donald McCormick takes an extensive look as to who ‘Bella’ might have been, and what might have happened to her. The writer claims that the victim was a Dutch woman who arrived illegally in England in 1941, and that her killer died insane a year later. 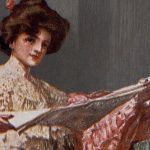 McCormick explores the theory that ‘Bella’ was in fact the Dutch girlfriend of German intelligence recruiter Lehrer, who had had a lover in Kidderminster before the war and was fluent in English. German intelligence records tell of an agent, code-named Clara, who was dropped into the area between Birmingham and Kidderminster between March and April 1941. There is nothing to say that she was dropped in Hagley Wood, but she never again made contact with the intelligence agency. 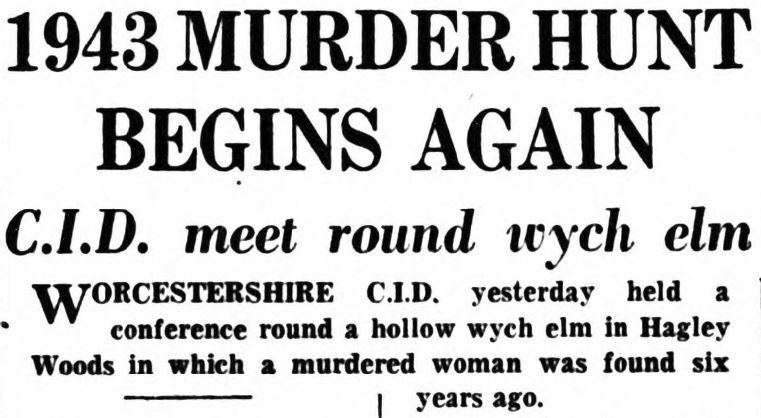 So who did put Bella in the wych elm? Seventy-six years on from the shocking discovery by the four boys in Hagley Wood, it seems we are no closer to finding the truth. 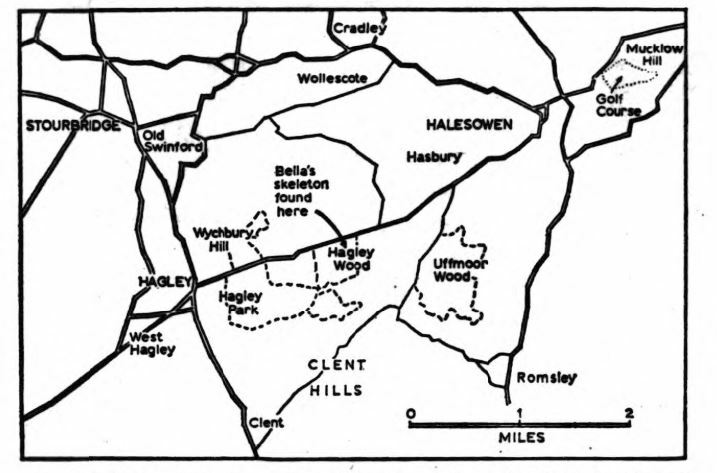 However, the Archive does give us a fascinating glimpse of the theories, and the legends that have trickled down through the decades, of the mysterious lady of Hagley Wood.